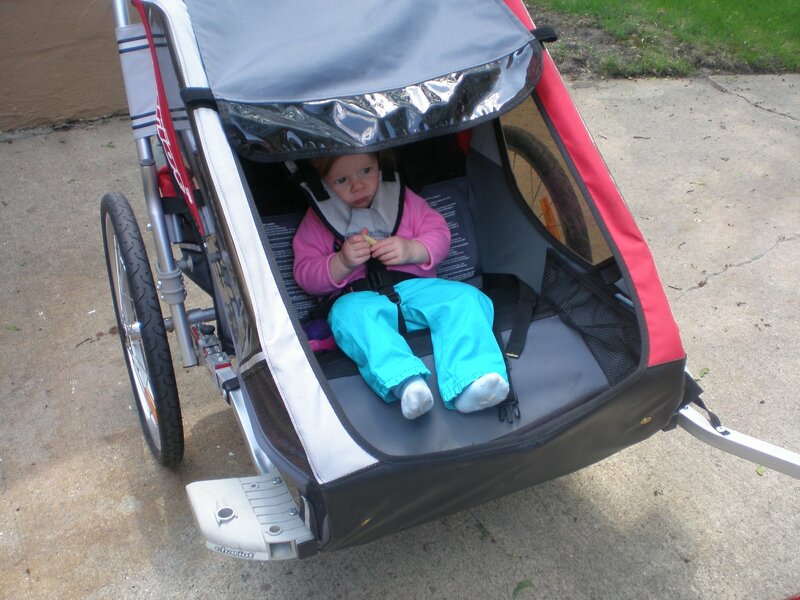 For Christmas last year we received a double stroller/bike trailer from Gage’s parents. We finally were able to use it for the first time on Monday! 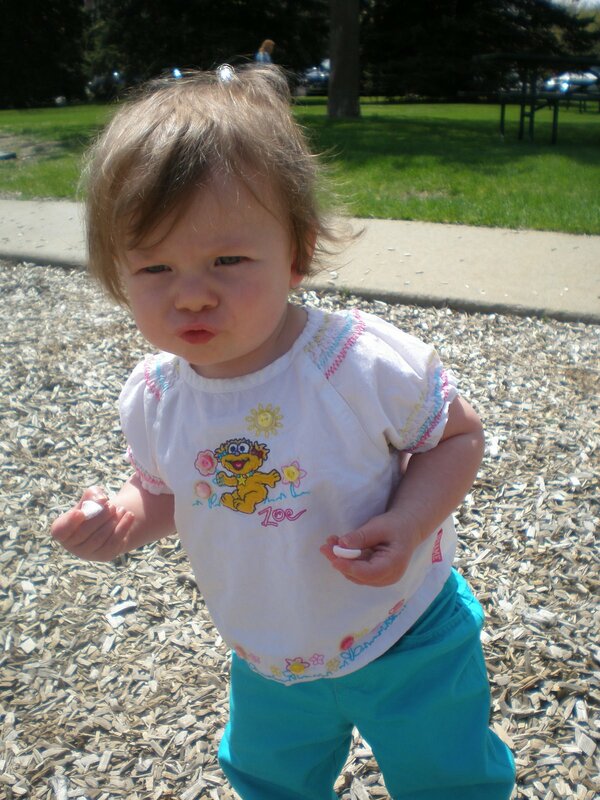 We took a ride down to Spellerberg Park and let Zoe play around. 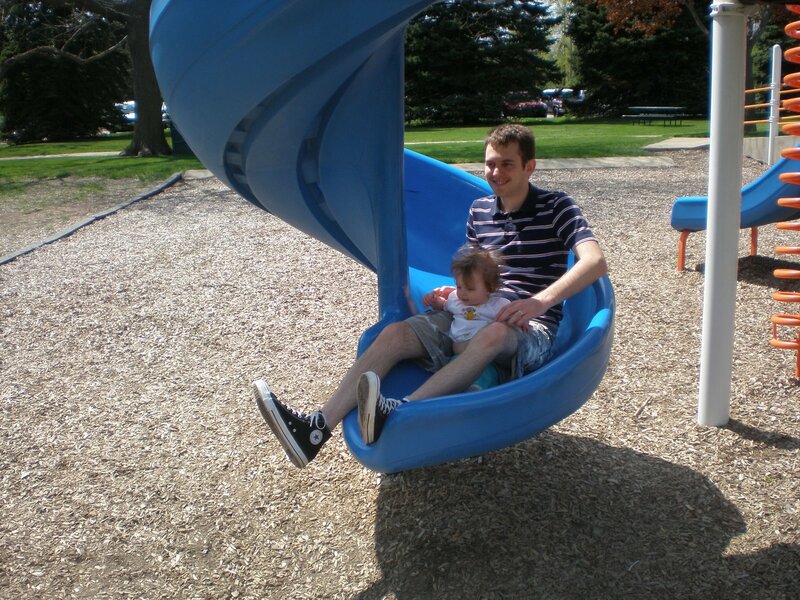 Zoe had fun walking around the park, swinging, going down slides with Daddy, and of course riding in the bike trailer! She’s a little small for it (as you’ll see in the picture at the bottom), but it works. It was so great to take Zoe on a bike ride with us! 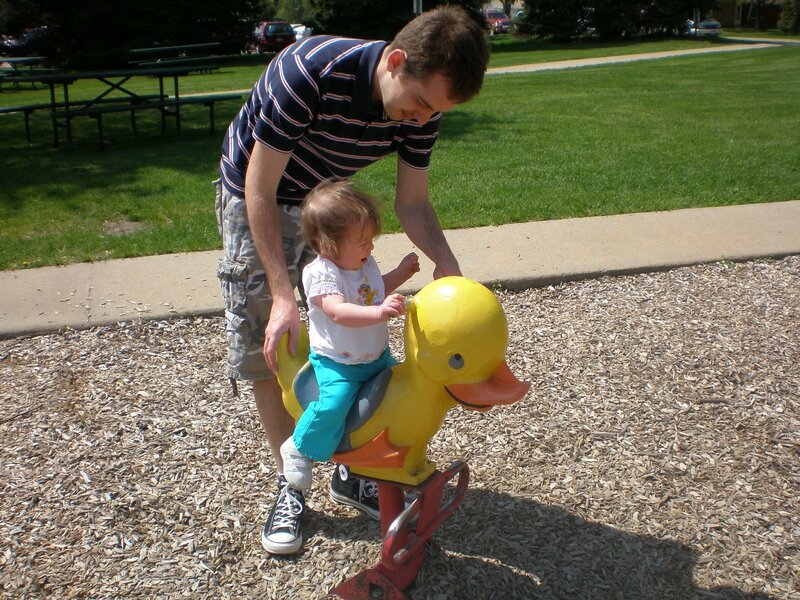 Zoe riding on her favorite thing in the world….a duck, haha. She is too adorable! It looks like you had a lovely trip to the park.